I only buy NEC after dozens of tries and finally found nirvana on 20wmgx2 and 2490wuxi. I hope NEC comes out with high res 27 like this then I'm in. Thanks for the article, there are many people who don't mind spending more for a quality display. 24" 1920x1200 would be my next choice, this is a bit too large/costly if you want multiple displays. As far as the monitors you mentioned, the 2707WFP and 2408WFP are in all of the graphs, with the exception of power -- I didn't test that on the 2707WFP way back when. Same goes for input lag testing -- I started that long after my tests of the 2707WFP and 3007WFP. As for the U2410 and the 3008WFP (along with the 3007WFP-HC), I never have tested any of those and thus can't include data for them. The HP LP3065 will perform very similarly to the 3007WFP-HC and 3008WFP (but the 3008 will have more processing lag). For the charts where I limited the results to a few monitors, I specifically chose the monitors in order to show good, high-end offerings that would compete with the U2711. Obviously, I'm limited to what I've tested, so I used the 2408WFP, 2707WFP, HP LP3065, Samsung 245T, and LaCie 324. I'd be interested in hearing more about deep color selling point of this display. Perhaps it'd be worthy to explore in a future article. Specifically the complete line of components to enable it, and whether there is any noticeable difference. as a gamer, i'll take my 28" hanns-g for $240 over the "latest and greatest milking scheme" from anyone else. although i can see professional (not pretend professional) photographers being quite excited at this one perhaps. 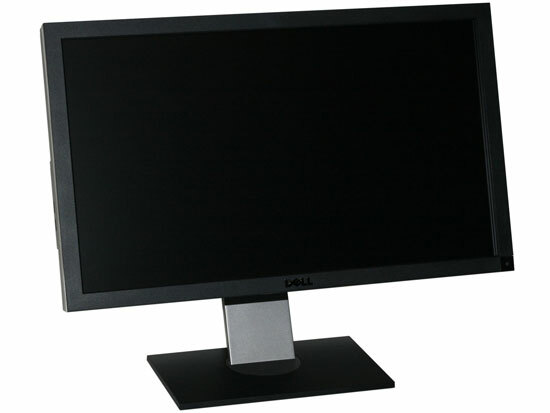 as a programmer (at work) i'm happy with my 4 other LCD monitors, 24 dell, 20 dell, 19 acer, 18 nec (they still around?). "The final potential drawback with the U2711 that we want to discuss is lag. There are actually two types of lag we noticed during testing, and neither one is likely to be a deal breaker if what you're after is high quality image. Processing lag (a.k.a. "input lag") is definitely present, and it appears to be due in part to the digital scaler." Blah. IPS is all about NOT having the input lag PVA panels have. Making an IPS panel that has noticeable input lag means it no longer has one of its biggest benefits.